As the UFC lands in Chicago for one of the deepest cards of 2018, there is some homegrown talent on the card with more at stake than just a change to their win-loss record. Team Top Notch teammates Mike Santiago and Ricardo Lamas are both looking to get back to their winning ways at 225, but for their lead man, Mac Ramos, having them on the same card in their hometown is a dream come true. Ramos realizes that having one fighter on the big stage in their hometown is great, but having two is something incredibly special. “Being a part of UFC 225 is exciting. You get all the comfort of being at home, and it’s a bonus that the card is stacked,” Ramos said. The dream of having two fighters fight in the UFC in front of their hometown comes true for Ramos and his two fighters Saturday night. He says this is one of his biggest accomplishments. Ricardo Lamas at WEC 42 weigh-ins back in 2009. He’s been a pro fighter for over a decade, with Ramos there every step of the way. Coming off a knockout loss to Josh Emmett, Ricardo Lamas is looking to get back to the top of the featherweight division and he’ll do so with a win over his opponent Mirsad Bektic. When it comes to the strategy for “The Bully,” Ramos says there’s no specifics that needed to be focused on in this fight. For Santiago, who exploded onto the scene during last year’s Dana White’s Tuesday Night Contender Series, he’s looking to show that he belongs in the UFC since his last two fights have not gone his away. Despite suffering consecutive losses, Ramos says Santiago is not one to quit. “Santiago comes from a breed of fighters that never quit and he has the heart of a lion. His mind is a lot clearer going into this fight which he has trained super hard for,” Ramos said. 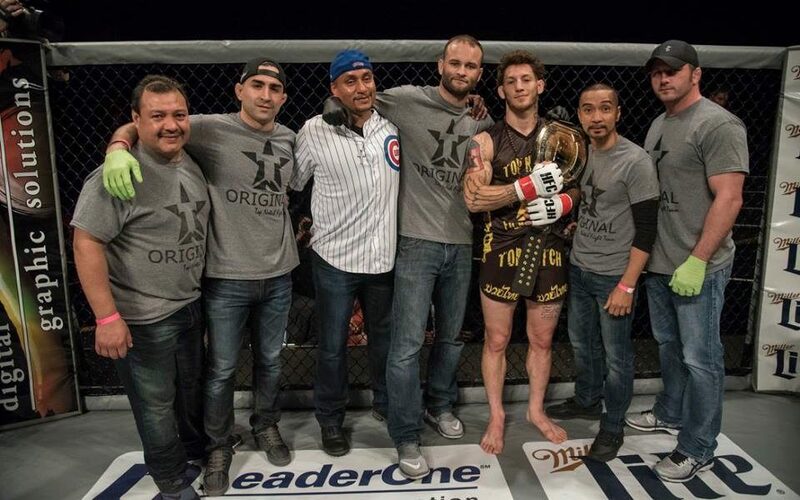 Being in the corner of two Chicagoans certainly carries extra for Ramos leading into 225 and he hopes his guys can help elevate Chicago on the MMA map. It’s not a homecoming for Mac Ramos at UFC 225, it’s a welcome to his home. The home where he’s trained Santiago and Lamas for over a decade, the home where he grows local talent who dream of the big stage, and the home that he calls Chicago. Support Your Local Bully! Click here to purchase the new Ricardo Lamas Shirt!